First issue to feature book and magazine reviews. First appearance of apt quotations at the end of each story. This was the pre-internet age and finding the most appropriate quote sometimes took a while. 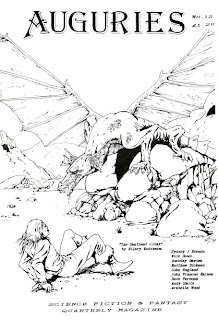 Cover – Nik Morton, illustrating the story by Hilary Robinson; I committed a cardinal sin and gave the creature wings when he had none in the story! 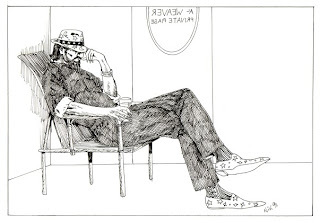 Interior illustrations by John McCreen, John Light and Nik Morton.